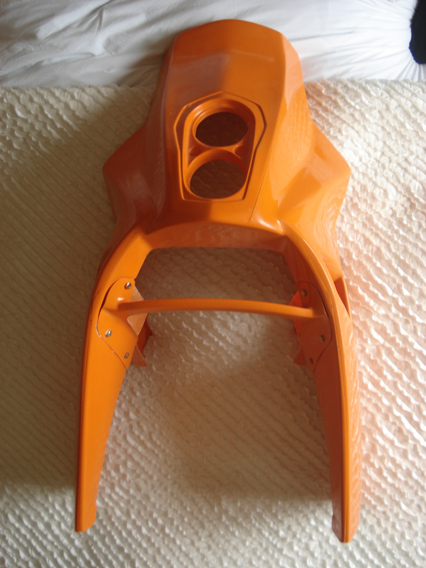 These fairings are made in one piece to a very High Quality, they do not suffer from breaking at the joins, and have a far better crash damage resiliance than the originals. 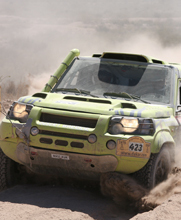 The picture shows two faings that have completed the Dakar and suffered from heavy crashes, both are still usable and repairable after the race. Available in most base colours, if the colour you want is not listed just ask and we will make it for you, adds a week or so to delivery time. If you are NOT in the UK please contact us about shipping price. Because of the size and wieght shipping costs can be very high to international destinations.